Many of us love the summer for many reasons. The kids are on summer vacation, meaning they can wear themselves out playing outside all summer long. The days are longer, meaning after work, we still have daylight to burn biking or walking. The weather is warm, inviting long days lounging in the pool. However, if you own an RV, a fifth wheel trailer, a toy hauler, or a motorhome, you love summer because that means long trips in your RV, seeing new sights, doing new things, and enjoying life. All Season RV & Trailer Service near Fort Wayne offers summerizing packages to help you prepare your RV for the summer travel season. Below, we’ll list some quick summer RV travel tips. Contact us today! Prepare your RV for the summer. If you stored your RV for the winter and it hasn’t been in use for six months, then you’ll need to prepare your RV for summer travel. Open up the windows and the vents to clear the stale air. Check all the fluids, and flush out the water lines. Invest in a tank freshener or bleach to clean out your lines to ensure there is no bacteria growing. Make sure everything is working inside, such as the fixtures and appliances. Check your air conditioning and heating for proper functioning. If you don’t want to do all this yourself, then hire a great RV service company such as All Season RV & Trailer Service to clean out your antifreeze, clean your trailer inside and out, check all the appliances, and check your roof. Check your generator and batteries. Your generator will probably need an oil change, filters replaced, and the air filter checked before you venture forth and conquer new lands. RV batteries should be checked and monitored throughout the summer season to ensure proper functioning. Prepare your RV or trailer for summer squalls. Summer has its share of weather, including hail and high winds. Check trees before you park underneath them at campgrounds. Invest in an emergency kit and a first-aid kit for your RV or trailer. Replace flashlight batteries. Take pictures of your RV or trailer to have for insurance purposes in case you are caught in a devastating hail storm. Summer RV travel can be fun and exciting as long as you are prepared and comfortable. 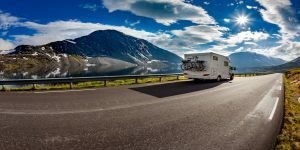 A little bit of pre-maintenance RV services can go a long way to preventing flat tires by the side of the road, a missing hose, or a stalled generator. All Season RV & Trailer Service near Fort Wayne specializes in RV repair and service, as well as RV upgrades. We offer upgraded awnings, which are important in that summer heat, as well as back-up camera installations, which will help you maneuver your RV or trailer into tight campground spaces. We install solar panels, which are great to have as a primary source of energy or as a backup to your generator. We also install custom outdoor TV brackets, so you can enjoy your favorite shows on a cool summer night. Contact us today for all your summer RV travel needs!